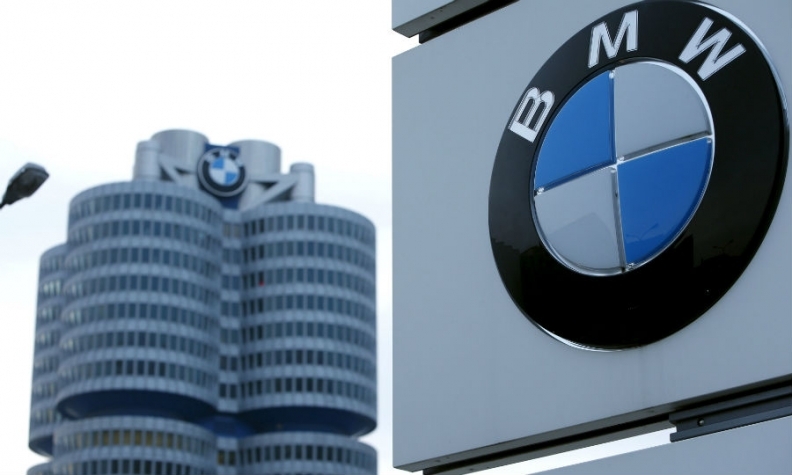 FRANKFURT -- BMW has told its top managers that regulators probing reports of collusion among German automakers will find the allegations hard to justify, two sources familiar with the matter said. German magazine Der Spiegel reported last month that BMW, Mercedes, Porsche, Audi and Volkswagen may have used industry committee meetings to fix the size of tanks for AdBlue, a liquid used to treat nitrogen oxide in diesel emissions. BMW's top managers expressed surprise at the impact on share prices and the level of media attention received by the Der Spiegel article, the sources said. BMW's top lawyer said regulators investigating the allegation that automakers had colluded to standardize the size of Adblue tanks would quickly realize that the tank sizes were all different, they said. A survey of the biggest selling vehicles at Audi, BMW and Mercedes by Reuters shows that the vehicles do not have identically sized AdBlue tanks. The AdBlue tank in the current BMW 3 series has a capacity of about 4.75 gallons, while the Audi A4's has 3.1 gallons. Mercedes C-class models can be fitted with tanks that are 6.6 gallons or 2.2 gallons. A variety of tank sizes is also evident in larger and smaller cars sold by BMW, Audi and Mercedes. BMW said it rejected accusations that current diesel vehicles do not provide adequate exhaust gas treatment due to AdBlue tanks which are "too small." By combining an AdBlue and an NOx-storage catalytic converter together with exhaust-gas recirculation systems, BMW cars are able to fulfill all legal emissions requirements, the company said. BMW has admitted that automakers had sat down together to talk about AdBlue technology. "From a BMW Group perspective, the objective of discussions with other manufacturers concerning AdBlue tanks was the installation of the required tanking infrastructure in Europe," the automaker said. German rival Daimler also defended the custom of manufacturers meeting in industry committees on Friday. "Daimler is convinced that an exchange of opinions on technical issues between various manufacturers in the automotive industry is useful and that it accelerates many innovations or actually makes them possible," the automaker said in a statement to Reuters. Daimler declined to comment on the allegations raised in the article, but voiced concern at public and media discussion of the issue, saying "generalized prejudgements and dubious legal assessments" were premature and damaging. Daimler said it had a certified antitrust compliance program, which fulfilled the highest requirements and was continually being further developed. Automakers have said they have not received formal notice of an infringement procedure. The European Commission said it was looking into the matter. "The Commission and the Bundeskartellamt [German cartel office] have received information, which is currently being assessed under the leadership of the Commission as a matter of priority," it said.